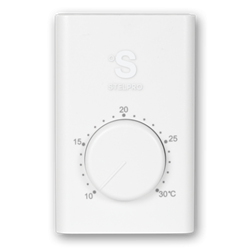 StelPro’s SWT1C is a wall thermostat that’s easy to use and goes with any décor. It’s compatible with most electric baseboards, fall fan heaters, commercial fan-forced heaters (with 120 to 277VAC coil contractor) and most other heating products. 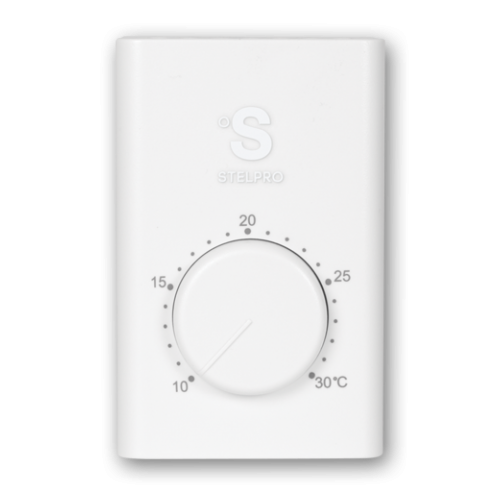 As a single pole thermostat, the SWT1C has a “low” setting and no true “off” setting which make it ideal for rooms where the temperature needs to be kept at a certain level like storage rooms. Displays temperature in Celsius only around the dial.